In this episode: What are KPIs, why they are so important and how can we choose them? Here you can find the accurate description of what’s discussed in this episode. If you feel a bit lost, if you are new to this, or if the topics seem to be too complicated, don’t worry. You can take your time and listen to the show while you follow this post that I have already prepared for you. This will also save you time because you don’t need to take notes or write down everything I say in each episode: I already did it for you. Andrea Vascellari is an award-winning digital marketing consultant and keynote speaker in the online communications industry. With over 15 years of professional experience and a deep understanding of marketing and communications, including public and media relations, Andrea helps his clients integrate new technologies and social media communication into their organizations by building dynamic relationships with shareholders and other key audiences. Connect with Andrea on Twitter: @vascellari.
. If you wish, you can email your comments, questions and suggestions as MP3 file attachments (max. 3 minutes / 5Mb attachment, please!). We’ll be happy to see how we can include your audio contribution in a show. 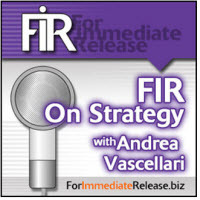 FIR On Strategy with Andrea Vascellari is brought to you with Lawrence Ragan Communications, serving communicators worldwide for 35 years. 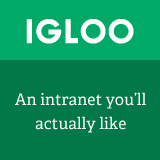 Information: www.ragan.com.